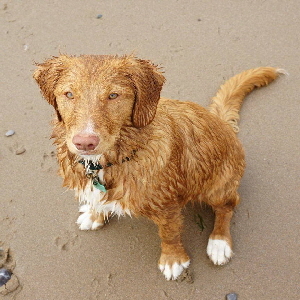 A day on the beach at 5 months. 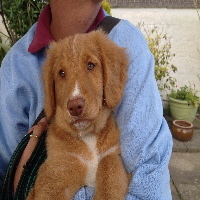 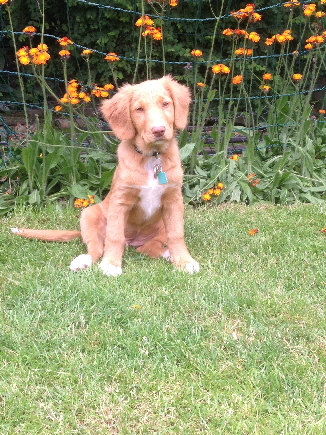 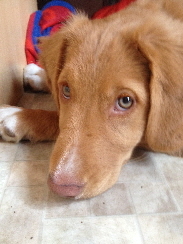 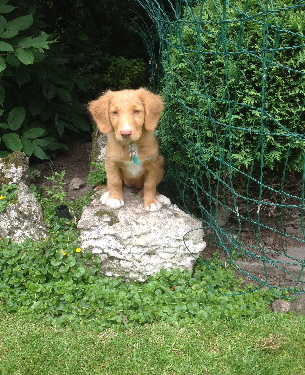 Gem is growing up and turning into a beautiful Toller. 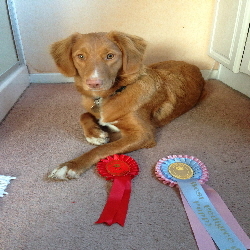 We are extremely proud of Gem, she has become a gentle loving girl, and now has a ‘job’. 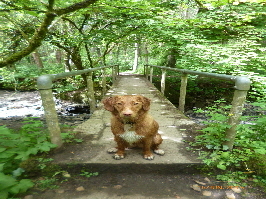 She has gone to help lovely Harri a Welsh Springer who unfortunately has lost his sight. 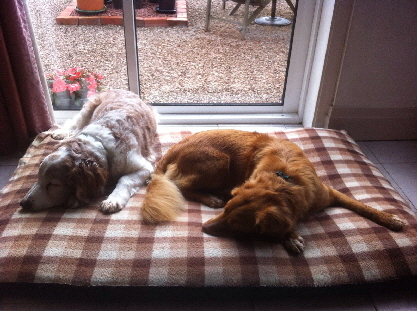 Gem now acts as his eyes and looks after Harri beautifully.